Tom Ford paved the way for young designers to take over the reins at storied fashion houses. Will he impact the art and industry of film in the same way? Tom Ford needs no introduction, certainly not to readers of an international fashion magazine. Having joined Gucci in 1990 as a relatively unknown designer, Ford became creative director in 1994 and is credited with having turned the démodé label into a global powerhouse while, in the process, revolutionizing the fashion industry. This latter point is one that is only begrudgingly conceded by many in fashion. Yet, it is undeniable that he paved the way for other young designers to take over the reins at storied fashion houses — John Galliano at Givenchy in 1995 then Christian Dior in 1996; Alexander McQueen at Givenchy in 1996; and Marc Jacobs at Louis Vuitton in 1997 — a practice that is the standard today. It’s unlikely that he’ll impact the art and industry of film in quite the same way, but he has certainly entered the medium at a level few would have thought possible. And, if A Single Man is any indication, he’ll almost certainly leave his mark. Tom Ford: I have always loved film and knew that someday I would like to direct a movie. When I left Gucci, I found that I had some free time — which I had not had in many, many years — and thought that it was the perfect time for me to direct my first film. In fashion, your job is to create a vision and then communicate that vision with the help of a great creative team. Directing is similar to that, and I had a great group of people to work with. From the second we started filming, the whole process seemed so natural. The whole experience was very fulfilling, and I consider it my most purely artistic endeavour. I hope to have a parallel career in filmmaking alongside fashion. The process is very natural to me, and ideally I would like to make a film every three to four years. I love my day job in fashion and it's been great to bounce between the two. I have started thinking about my next film project, but that's all I'm going to say. 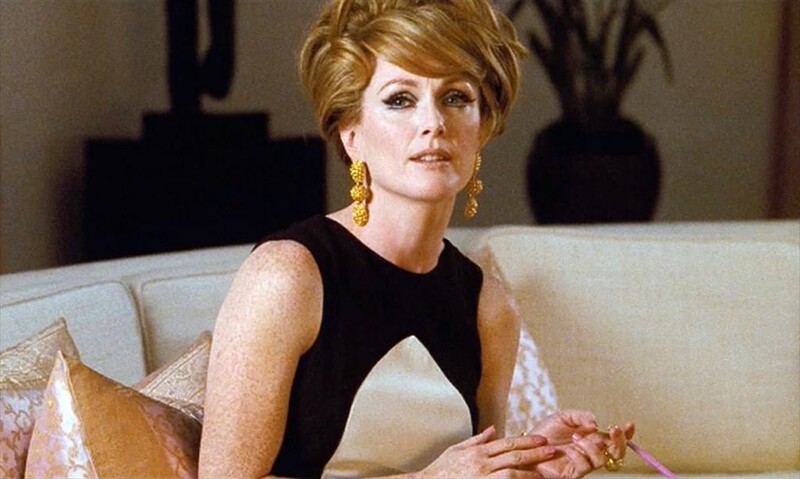 I first read the book, A Single Man, by Christopher Isherwood in the early 1980s and was very moved by the honesty and simplicity of the story. At that time, I was in my early twenties. After searching for the right project to develop as my first film, it occurred to me that I often thought of this novel and its protagonist, George. I picked it up and read it again. Now, in my late forties, the book resonated with me in an entirely different way. It is a deeply spiritual story of one day in the life of a man who cannot see his future. It is a universal tale of coming to terms with the isolation that we all feel, and of the importance of living in the present and understanding that the small things are really the big things in life.